Related to this question, I am wondering just generally how one can do cell biology research without being part of an already well-established University laboratory. I am not doing this myself but am just curious what the process is like for somehow getting to be one of the ones to be approved to do such research, approved to buy cells or other things like that. The only places I know of currently that are approved are well-established Universities. That makes sense because they have good intentions and they probably have a lot of manual contracts or inspections and that sort of thing. But then at a second level of approval, there are big private companies like Genetech that probably also have approval of some sort (although maybe they "started at the beginning" by building their own cells from scratch sort of things, and so never needed approval). Then at a third layer are smaller private companies that either buy cells for research, or make their own somehow. I don't know of any examples of this but there's probably some less well known 10-20 person companies that have access to cells for research somehow, at least I would imagine. If there are not any examples of that it would be interesting to know. But say you are either a nonprofit or a private company just starting out, and you would like to do research or provide some service that requires expressing DNA at large scales and requires a streaming supply of cells to do that. I wonder what your options are just generally (to keep this question focused not on specific companies that offer solutions to this, but on the general process). Maybe it requires you have 1 person on the team with a PhD of some sort. Or perhaps a Masters degree is acceptable. Or maybe you can get by just a Bachelors degree in Biology. Or maybe just a college degree in any major. I wonder if you can go further and, no one on the team has graduated from college (if they are young and in college), or they are older and no one went to college, they are just self-taught. So part of this question is if there is a degree requirement to being approved to buy cells (and other stuff). So as a new company or non-profit, you start "establishing a lab" from scratch. You invest in some machines somehow. You either have some PhD's, or no one even graduated from college, but in both cases you have the same level of expertise. The part here is how you, as someone working for this "new lab", can express to some company like ATCC that sells cells, that you are affiliated with a lab doing ethical research or work for expressing DNA for some service. Basically the question is, how a newcomer breaks into the space and can start either doing research or performing a service that requires having access to cell lines and such. What the general requirements are (such as (1), must have at least 1 PhD, (2) PhD must be affiliated with a University laboratory (i.e. they must have been a PostDoc for x years at that University, or must currently be partially employed there), and (3) you must have some sort of legal "Code of Conduct" or some guidelines for good ethics). Currently, I can't see how any new lab can be established, unless it is established as a branch/offshoot of an already existing lab. According to Anne Wojcicki, 23andMe had been in dialogue with the FDA since 2008. In 2010, the FDA notified several genetic testing companies, including 23andMe, that their genetic tests are considered medical devices and federal approval is required to market them; a similar letter was sent to Illumina, which makes the instruments and chips used by 23andMe in providing its service. 23andMe first submitted applications for FDA clearance in July and September 2012. But it's like, you need to have all these tests and results to demonstrate to regulators that this is ethical and not a health issue and whatnot. But I don't see how you can even perform those tests and get those results in the first place, since you don't have access to anything. Someone is doing lab work in private somewhere, pre-regulation. Or perhaps you have to submit proposals that need to be approved first before even embarking on initial experimental tests to get initial basic results. But if you have the funding (without needing to write grants, like 23andMe), it seems you don't need to get any approval first. 23andMe began offering direct-to-consumer genetic testing in November 2007. Customers provide a saliva testing sample that is partially single nucleotide polymorphism (SNP) genotyped and results are posted online. In 2008, when the company was offering estimates of "predisposition for more than 90 traits and conditions ranging from baldness to blindness", Time magazine named the product "Invention of the Year." After the sample is received by the lab, the DNA is extracted from the saliva and amplified so that there is enough to be genotyped. The DNA is then cut into small pieces, and applied to a glass microarray chip... If the sample has a match in the microarray, the sequences will hybridize, or bind together, letting researchers know that this variant is present in the customer's genome by a fluorescent label located on the probes. So maybe 23andMe had PhDs who did all the communication or something with the companies to get the cells for these experiments. Also to just throw it out there, I am not really sure what "lab affiliation" means. If it means (a) you are actively employed at the lab, or (b) were employed at some point in the past, (c) for how long does it matter you were employed, and (d) if you need to have been working at that lab with a PhD, or if being an undergrad or other sort of helper counts. Not sure if clarifying that would help answer the question. I ask because there is no place online where you can just click "S. cerevisiae, Strain A -> Add to Cart -> Checkout -> [Enter credit card info and press Buy now]" and get cells delivered to your door the next day. Something is in the way there (obviously not talking about the physical aspect of transporting the chilled cells and such). Something is going on in between an individual/new organization, and getting the cells. I'm not sure what it is (if it purely just laws, or what it is). If it is purely just laws, then that is good to know and the answer to this question is "It is purely the laws that govern this, it doesn't matter your degree or lab affiliation" is a good one sentence answer. Otherwise maybe it is some other social contracts like forming good B2B relationships over time, or knowing a friend-of-a-friend sort of thing. Or perhaps something else like degree requirements, etc.. In general, I think that degrees would not matter. PhD is not a license (compared to licensed medical doctor) but a scientific degree, reflecting some amount of education and achievement. There are many governmental regulations that apply to organization that seeks to work with human tissues, import/export biological samples, order regulated substances et cetera. There are review papers, for example "Guidelines for the use of cell lines in biomedical research"
Another layer of regulations, that universities are particularly prone to, are ethical guidelines established by funding sources. For example, NIH have specific guidelines for work with human subjects and specimens. You will have to pay attention and comply, if you want to get their funding. Universities have dedicated groups of people who are in charge of making sure that these policies are followed, you don't want your organization to fall out of favor with funding agencies. All together, it seems that establishment of private lab is logistics problem. Compared to research universities, you lack legal and operational teams that know all the caveats of the regulations, as well as just plain handling of materials. 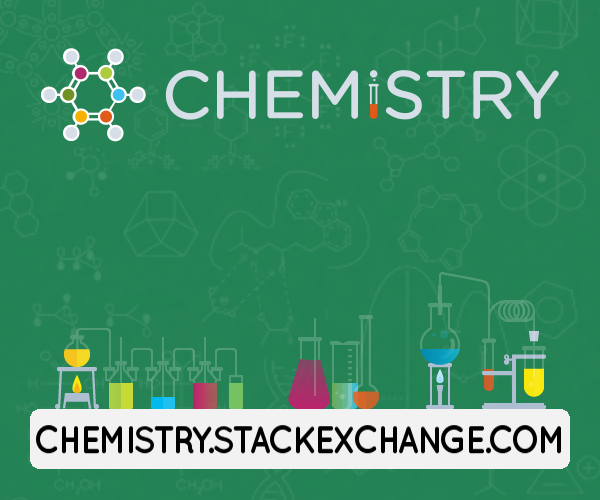 You need Purchase Orders most of the time, not credit card, to buy something from ThermoFisher or Sigma-Aldrich, and that is done via purchasing departments at universities. Not the answer you're looking for? Browse other questions tagged lab-techniques research-process or ask your own question. Are any biology research journals free to publish in? How is the role of ethylene in ripening demonstrated in biology (or agriculture) education?